What a difference a few weeks make! 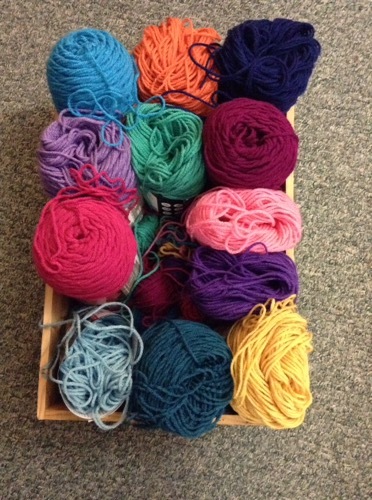 I started this CAL on September 1st with all these lovely skeins of yarn. I had extra of three of the colours from a previous purchase. Now look at them, so depleted! 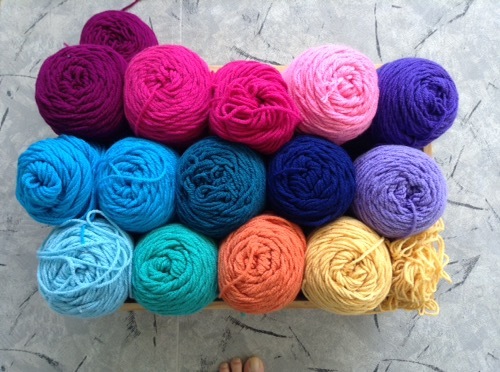 Still a fair amount of pink and turquoise but the rest are starting to look skinny. This is what they have been turned into. 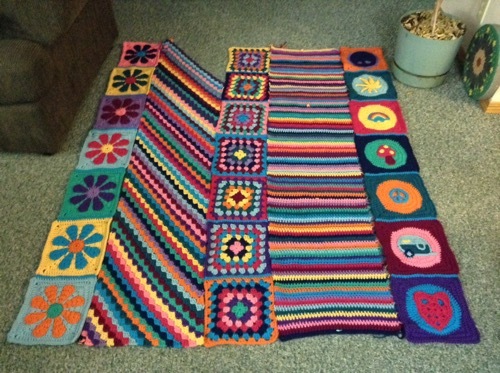 A daisy strip, a granny square strip, a dot/applique strip, a stripe strip and a C2C (corner to corner) strip. The latter is not quite done. I have to make sure it is the right length before making the last corner. I worked both days this weekend so the evenings were perfect for watching podcasts and weaving in ends. Hundreds of the darned things! (No pun intended.) I still have about 150 left on the stripe section. Tomorrow I should be able to finish the C2C section and start crocheting the strips together. And then…the border!